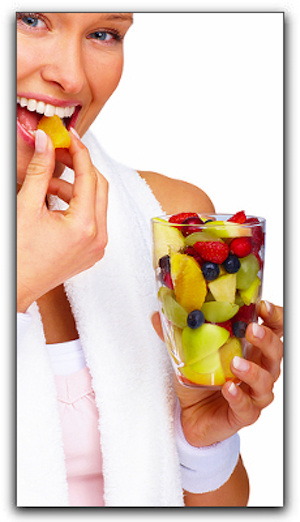 Healthy teeth that work as nature intended are essential for a high quality of life and overall health. Las Vegas folks who cope with dentures know what I’m talking about. There is no question that dentures are preferable to a completely toothless mouth, but they are not problem free. Your mouth delivers multiple basic functions, each of which can be impaired by the hassles of dentures. Dentures can make it problematic to chew and taste food. It’s embarrassing to talk when they are slipping around in your mouth and laughing can dislodge them entirely. They can even make it hard to breathe – and it doesn’t get more basic than that. Even if you have had dentures for many years, you may be a candidate for dental implants. Dental implants are an unusually versatile custom-made substitute for dentures. Dental implants can be used to replace several teeth and/or anchor over dentures. Mini dental implants (also called denture-stabilization implants) allow your dentist to securely attach an appliance so that it won’t slip or irritate gums. Small titanium posts are implanted into the jawbone and fuse with the surrounding bone, assembling a heavy-duty base for an over denture. During your first visit, your dentist will take x-rays and assess your mouth and the condition of your teeth, gums, and jawbone. Your dentist will evaluate options with you and together you will develop a treatment plan. A complete tooth implant and restoration consists of the actual implant or root replacement, an abutment, and final restoration. The first step is to insert the titanium alloy implant into your jawbone. This is not as difficult or painful as it sounds. Most patients are surprised at how rapid and easy the procedure is. Implant surgery would not be successful if your jawbone did not welcome an artificial and non-biological tooth root. Amazingly, in the vast majority of cases, the jawbone tightly fuses with the implant to create an extremely substantial foundation for the final restoration. It takes from three to six months for your jawbone to work its incredible magic. Whether your last step is a crown, bridge, or denture, your dentist will work with the lab to manufacture a beautiful and functional restoration. A connecting piece called an abutment attaches the restoration to the artificial root(s). The crown, bridge, or denture is all that is visible at the end of the process. Dental implant restorations are essentially indistinguishable from previous teeth. Dental implant patients of all ages are amazed with the greater quality of life implants deliver. Are breathing, speaking, eating, tasting, and laughing important to you? Call us to schedule a consultation.